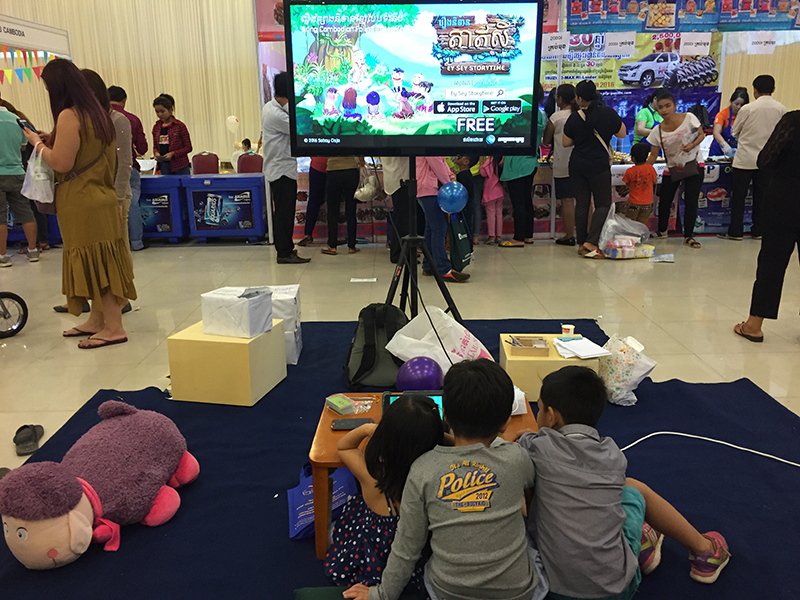 On July 2 and 3, Ey Sey Storytime was officially launched to the public at the Kids’ Fair and Family Expo held at the Koh Pich Exhibition Center. 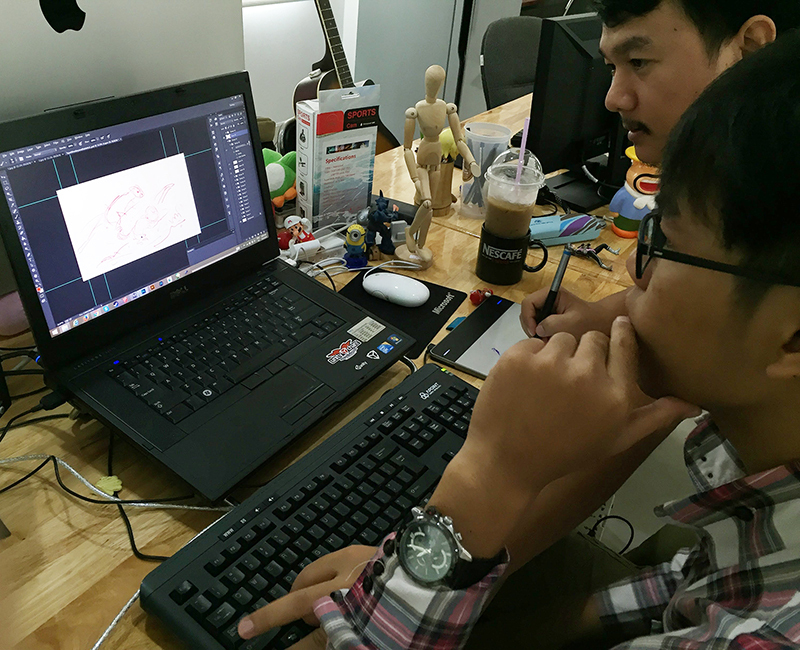 Created by Sabay Osja, Ey Sey Storytime is a storytelling app that aims to enlighten children on popular Cambodian folktales. The booth at the Kids’ Fair garnered over 1,000 visitors and great feedback over the course of two days. Ey Sey Storytime went on to top the “Top Free iPhone Apps” in the App Store’s Kids category. The stories in the app were selected and carefully crafted for children, and only stories with positive moral lessons were chosen. Each page is originally created by Sabay Osja’s illustrators, with a different artistic style for each story. Integrated mini games increase engagement for children, and a rewards system motivates interaction between children and parents. Furthermore, the app features dual language narration – one in English and one in Khmer. 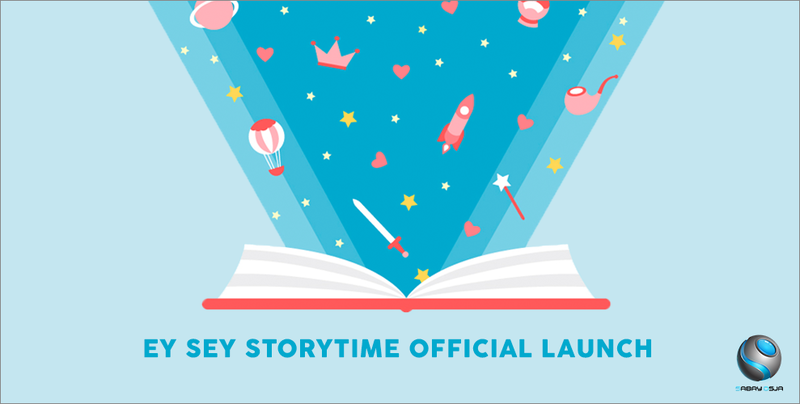 Ey Sey Storytime features over 50 titles that are updated regularly in-app. 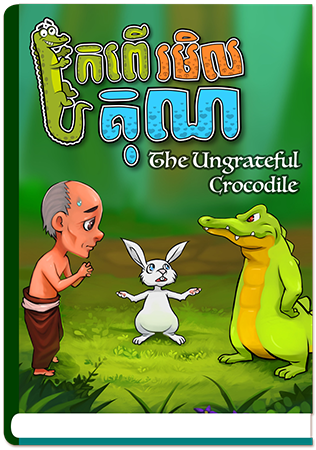 One of the many notable stories in the app includes The Ungrateful Crocodile, where children learn the importance of doing good deeds.